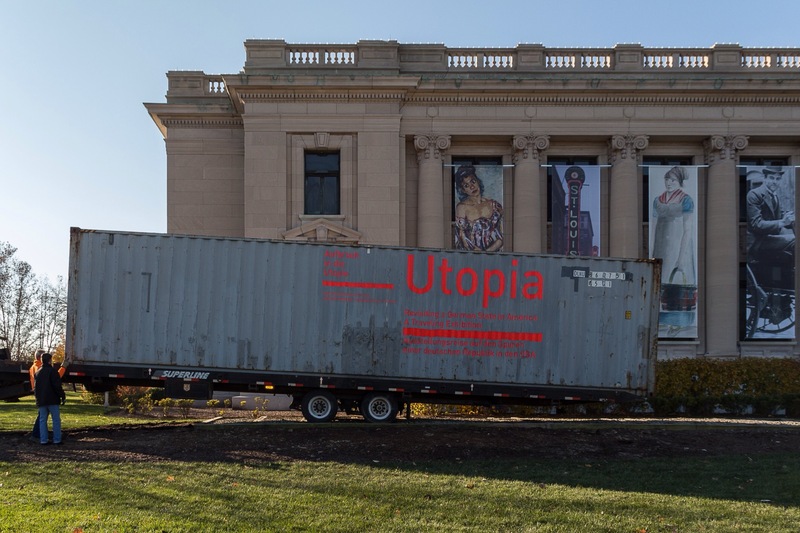 Today the Container with the German exhibit Utopia-Revisiting a German State in America replaced the Trolley car in front of the Missouri History Museum. It began its travels on Nov.1, 2013 in Giessen Germany, then went to Bremen, then Washington, DC and now is here in St Louis, a true International exhibit about emigration. Over three tons, it has traveled over 4,600 miles, and will fill a 3,000 square foot exhibit. Don’t miss it! opens Nov. 22 and runs till April 19, 2015.